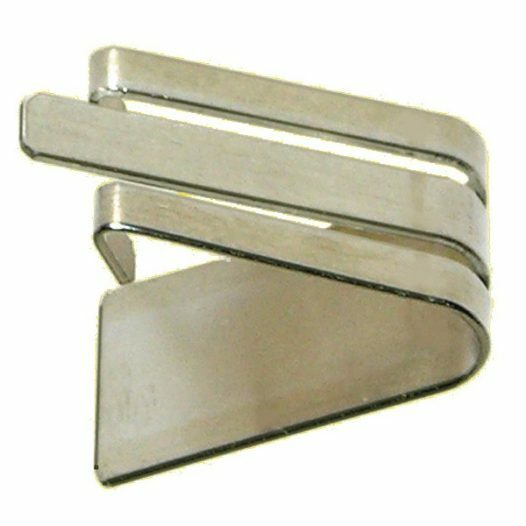 Stainless steel clip for holding foliage wires. 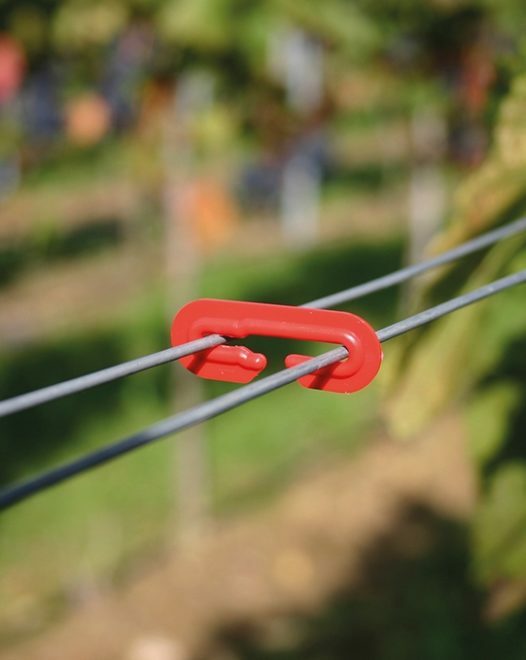 Very easy to apply and stays in place on a single wire when not in use. 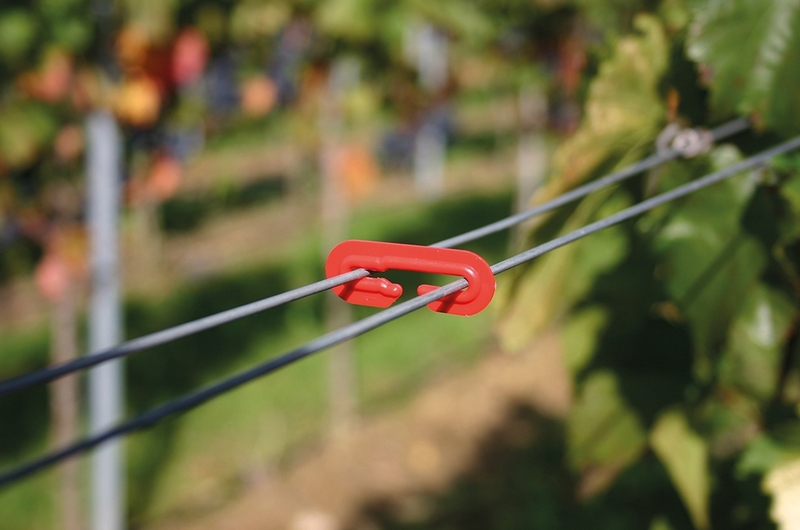 Does not get blown along the wire. 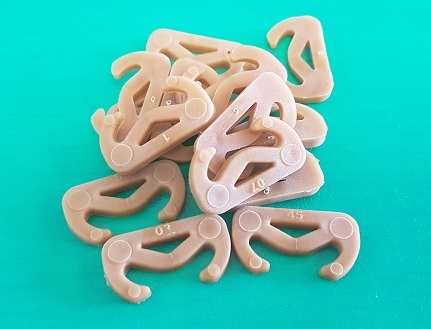 Multi-season – Plastic Drahtex clips. One side grips wire and the other side slips on and off the wire. Leave on one wire between seasons. 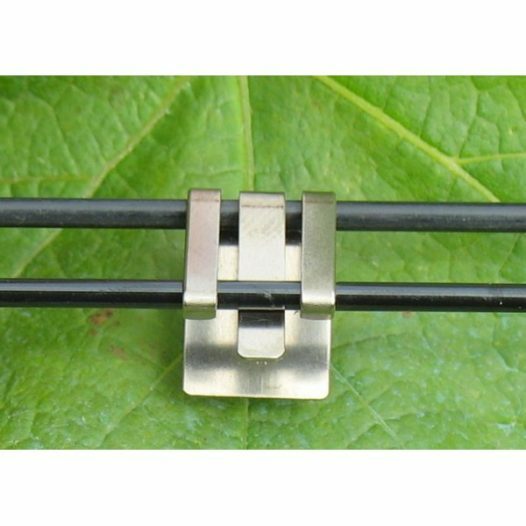 A new range of foliage wire clips from France. 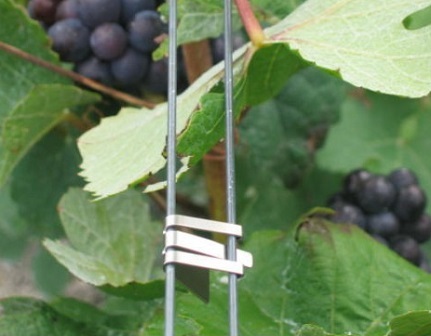 A great way to move away from plastic in the vineyard! These clips are made of 100% food grade vegetable matter which compost completely when they have done their job. 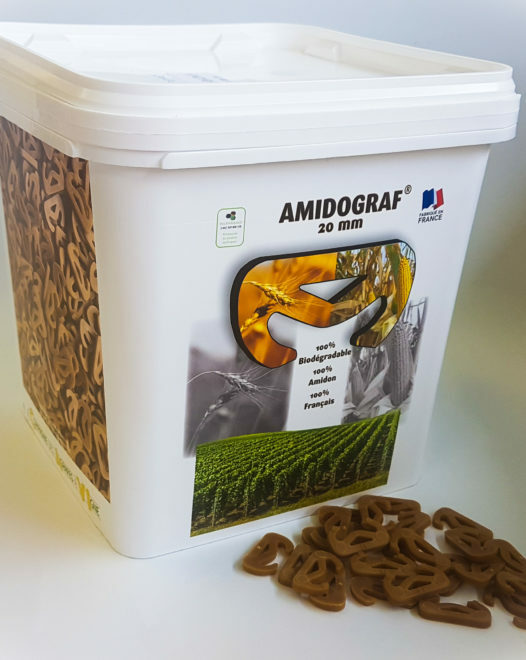 They maintain their strength in storage and during anti-fungal spraying, then decay when exposed to environmental fungi during Autumn, snapping off when prunings are pulled out. 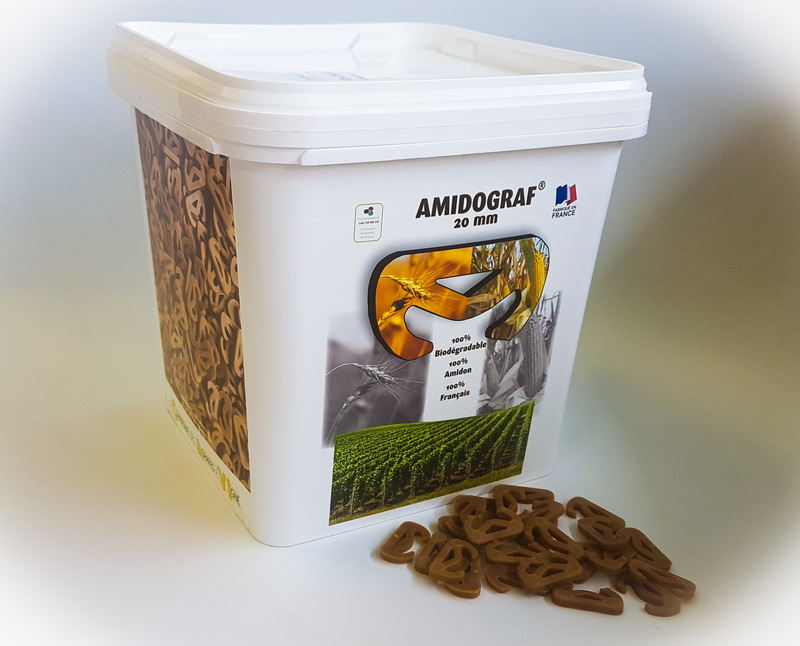 20mm wire separation – buckets of 2,700 clips.